It is impossible to ignore Instagram as a possible marketing tool when it has more than a billion monthly active accounts. If you don’t have an account, it's time to get one. 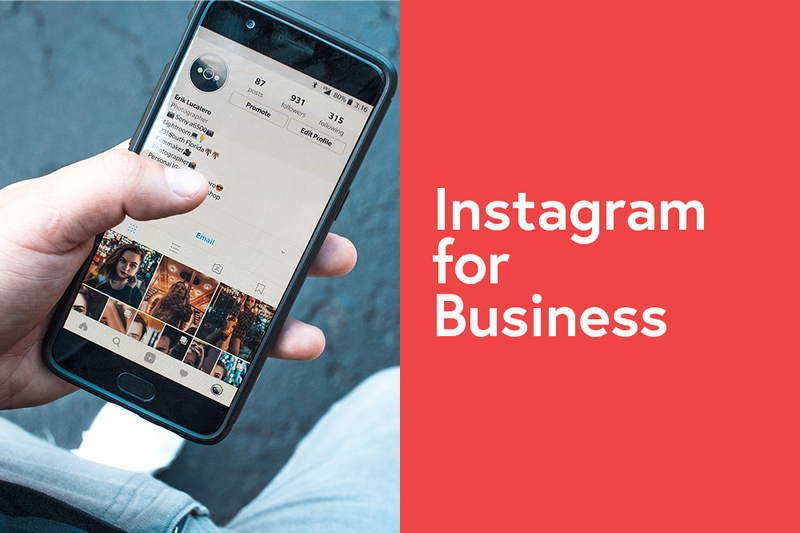 Although Instagram is extremely effective for companies in the visual or artistic field, it is certainly not reserved for them. And since 80% of users follow at least one brand, this is a marketing opportunity on which your business should not miss out. Several benefits come with using a business account. In particular, the option of having contact buttons directly on your profile, and access to statistics relating to your account. For example, you'll see a lot of information about your subscribers and your posts. After creating your business account, complete your profile with your logo, contact information, and a short biography. Once your account is created and completed, it's time to subscribe to other profiles. Whether it's other companies, influencers or potential customers, follow other profiles so that you can interact with them as well as market your business. In order to get people to follow your business, you have to publish quality content. Think about what your customers are looking for when they click on your account, and post content that will be enjoyable for them. Make your life easier by having weekly themes with recurring publications. This will create a certain type of relationship with your subscribers. It is also important to pay attention to the consistency of your branding in your publications. Make sure you use the same tone for all your publications and keep visual continuity in your images. This can be done by always using the same filter on your photos. A good example of brand consistency is the WebSelf user Anais Guerlin, who maintains a nice visual consistency in her Instagram shots. To help you create quality content, there are several photo editing or visual authoring applications like VSCO, Lightroom, and Canva. In order to create a trustworthy relationship with your subscribers, it is crucial to interact with them. Ask them questions in your publications and invite them to share their opinion in the comments section. You can invite them to comment by asking them to come up with a caption for your images, comment on their favorite product or tag a friend. You can also create a hashtag for your business, and invite your community to share their images related to your product using the hashtag. You can then share their content on your page. This a great way to easily get content while engaging your community. Like Facebook or Snapchat, Instagram uses the stories in their application. This is a way to publish photo or video content that disappears after 24 hours. Use them to share plots of your day, behind-the-scenes content, or funny videos. Since they are not permanent, your subscribers will find these stories more authentic. Feel free to use the many stickers provided by Instagram and GIFs. They will certainly bring a playful side to your publications. Although the stories disappear automatically after 24 hours, they remain archived in your account and you have the option to post them through the highlights section of your profile. You can create categories and keep these classified publications featured in your profile. In our Instagram profile, we selected the stories we wanted to keep, and we classified them into three categories: team, inspiration and blog articles. If you have important information that you want to leave available to your subscribers, such as a promo code or behind the scenes of a particular event, then the highlights section is a great way to keep them featured. Like Facebook, Instagram gives you the opportunity to advertise in its application and there are a few ways to do this. Through the advertising manager, you have the choice to advertise via your stories, photos, videos or carousel. Then before publishing the whole thing, simply choose your goal, target audience, duration, and advertising budget. And finally, a fairly popular practice on this platform is influencer marketing. The idea is to use a person with a large number of subscribers to advertise to his/her subscribers. There are several ways to do this: sponsored publications, long-term partnerships or brand ambassadors. The important thing is to ensure that the collaboration between the two parties is beneficial and that the target audience is successfully reached. To learn more about the subject, we suggest you read this article from Forbes. Now it's your turn to create a community on Instagram and make your brand shine! If you would like to continue reading, you can read our previous articles on the use of other social networks: Facebook, Twitter, Youtube, LinkedIn, and Pinterest.